"Have you ever been cruel?" 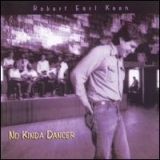 No Kinda Dancer (this album) (1984), Best (compilation) (2006). Lot 2 Country CDs: MARK WILLIS "Wish You Were Here" -- ROBERT EARL KEEN "Picnic"